Founded in 2015 by Hotelpreneurs and Digital Marketers who have extensive experience in the hospitality industry. This cohesive, determined and passionate group of people is constantly on the lookout for exciting market opportunities. Why is the company called “HWH International Corp”? Hotel Wealth Holdings International Corp.
Where is HWH International Corp headquartered? Having a office in Suite 19, 8th Floor, Wisma Zelan, Jalan Tasik Permaisuri 2, Bandar Tun Razak, 56000 Kuala Lumpur, Malaysia. and HQ in Sunway MSC Zone Petaling Jaya, Malaysia. 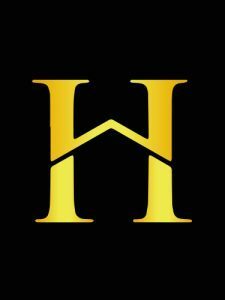 How many people does HWH International Corp employ? As of July 31, 2016, we had a total of 2 full-time employees and 2 part-time employees. What is HWH International Corp’s core business? As incredible as it sounds, the integration of IT solutions in Hotel business is usually the norm. However, for many individual hotel owners within ASEAN, the use of technology to run their operations is still at its infancy. Despite the numerous benefits it offers, only a handful of these owners are doing so. Herein lies our golden opportunity. We believe the internet will level the playing field thus allowing the Hotelpreneur to champion on innovation and technology to grow and compete effectively. Who are HWH International Corp’s customers? HWH believe this is the much needed steps towards filling the missing gap between the hotel guest and hotels in terms of technological advancement within the industry. What do you mean when you refer to the “Flexsee 4 Quadrant”? Our Complete RD All-In-One Solutions provides a one-stop solution for hotel digital marketing. Friendly for both new startups and established chains. Complete RD All-In-One Solutions employs hotel digital marketing consultation, digital marketing research, hotel website development, SEO, SEM, SMM, paid advertisement management, and new media marketing. How does HWH International Corp grow its business? We plan to expand our business by offering our top notch Xeenia Suite to enable a better guest experience and sharing of social media thru multi channel platform.